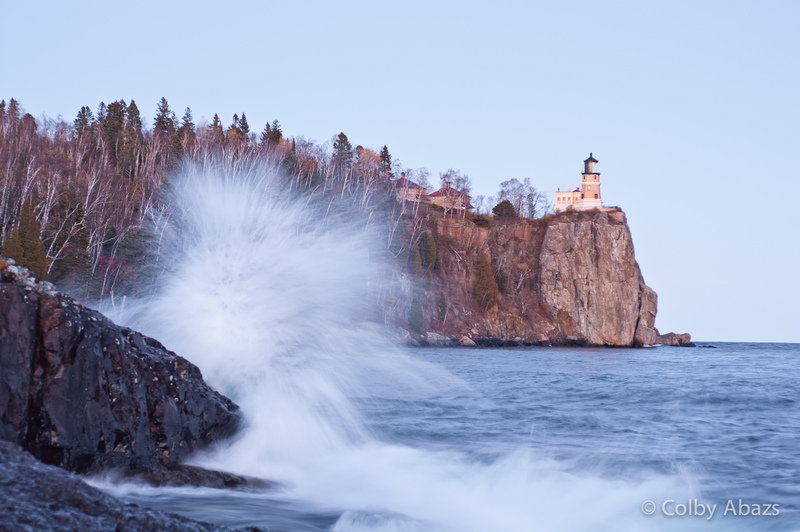 My last day of work at Split Rock Lighthouse was a nice wavy one. The neat thing was that it wasn't very windy at lease not where I was. I got to the shore just as the light was fading but that worked fine because I could get nice slow exposures and smooth water. This is my favorite of the many photographs I got of the waves. I like the composition and how big and spraying powerful the wave is. It was one of the biggest waves I photographed. I had been watching the shore and waves all day and had noticed that this was the spot the waves were the bigest and tallest.